Raise your hand if you know what your insurance policy covers. Better yet, raise your hand if you even know where your insurance policy is. Hmm, while we may not be there to see for ourselves, we're betting your hand is most definitely not up. And that's ok! Believe it or not, most people have no clue what their policy covers or where it's stashed, should they need to look it over. Don't worry, we're not here to insurance-shame you. But we are here to help you access your CFM Insurance policy quicker and easier than ever before. How? With the help of our new Policyholder App of course! At CFM, we believe an insurance-savvy population is the best population. That's why we're dedicated to making our policyholders' lives easier by giving them on-the-go access to their important insurance information in an easy-to-navigate platform. 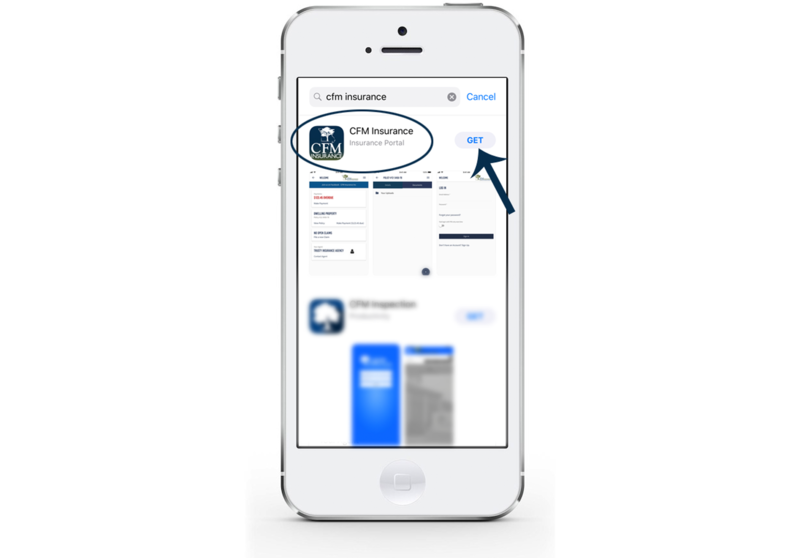 From paying your bill, to filing a claim, and everything in between, the CFM Policyholder App has you covered. Before you head over to the App Store, take a look at this breakdown of all the helpful features you can utilize when you hit that download button. Well, it's about time you two finally met! 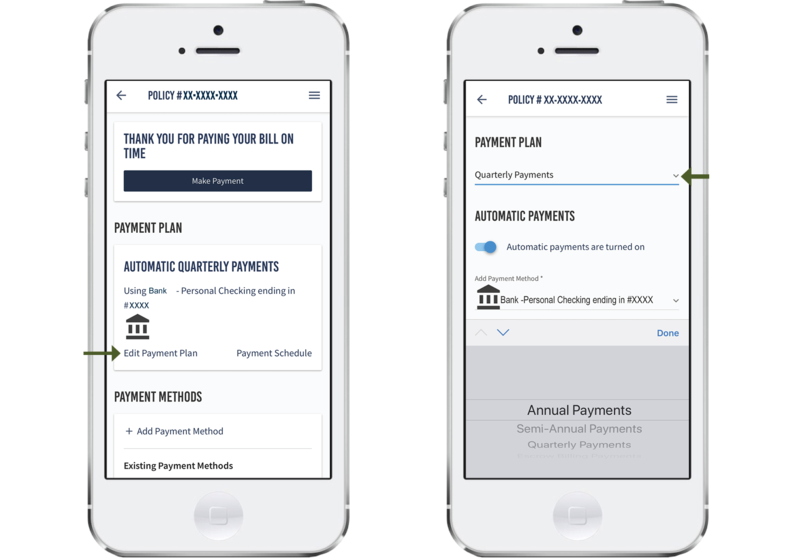 With the CFM Policyholder App, you can review what is covered on your policy, what type of billing schedule you're currently enrolled in, and more. Take a look. Your insurance declaration page is a basic breakdown of your policy. It lists out important information like your policy number and type, along with what is covered on your policy. To access your insurance declaration page in the Policyholder App, simply go to View Policy and tap on Documents. You'll then be directed to a page of folders with every important document we have on file for your policy. You can view or download your declaration page here as well as review any other documents you may need, including your Billing Statement. Your billing statement gives you an in-depth look at how much you pay in insurance premium and when. Can't remember what payment plan you're set up on? Are you enrolled in escrow billing through your mortgagee? Do you pay via automatic withdrawal on a monthly basis? Quarterly? Semi-annually? Annually? 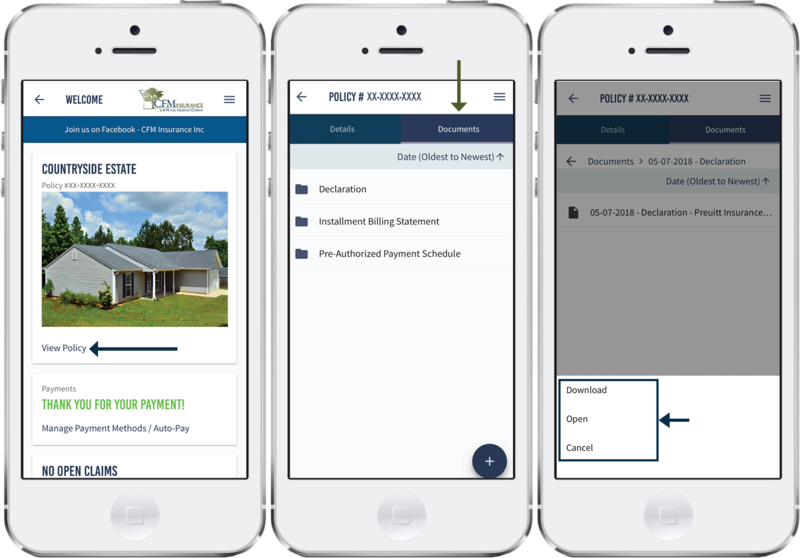 Get answers to all of these questions through the My Payments portal in the Policyholder App. Your payment plan will be the first thing you see, along with whether or not you‘re currently enrolled in automatic payments. You'll then be able to change your payment plan or enroll/unenroll in automatic withdrawal by tapping Edit Payment Plan. 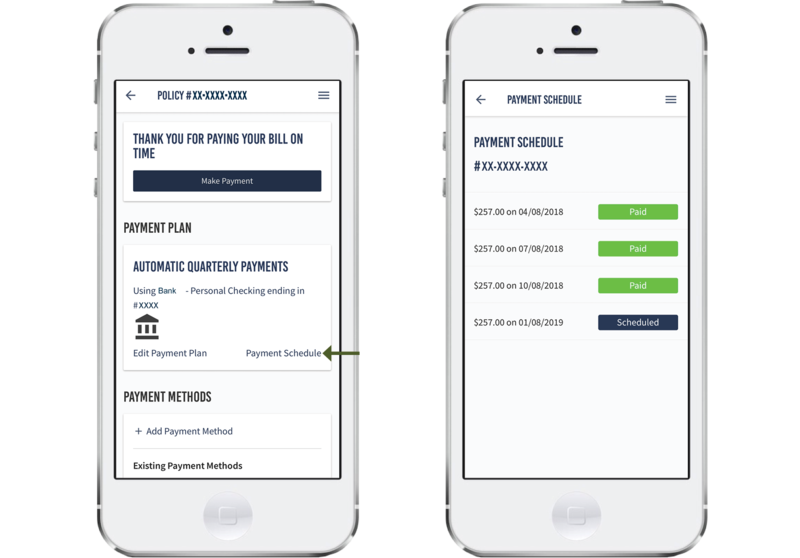 Payment Methods - Pay your bill or make changes to your stored payment method in less than a minute, from the palm of your hand. 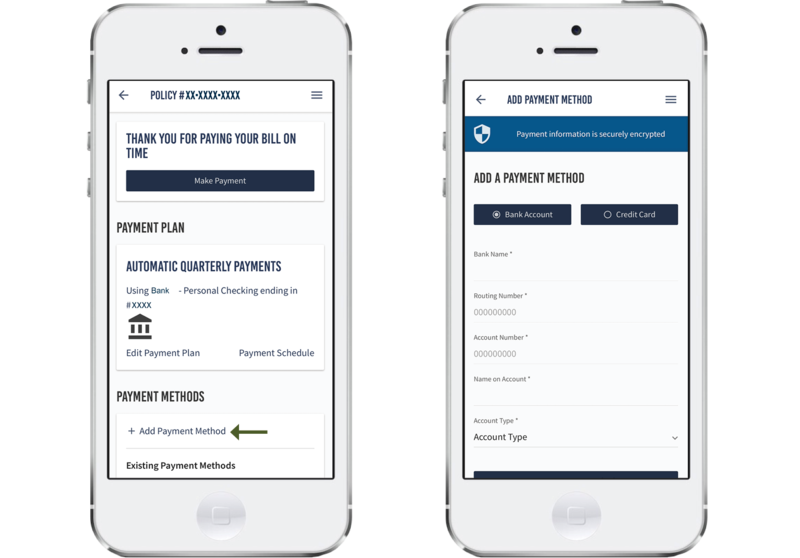 If you're enrolled in automatic payments and need to switch the primary account your payment comes out of, you can easily do so through the Policyholder App. Toward the bottom of your screen in the My Payments portal, you'll see Payment Methods. Just tap on + Add Payment Method to store your new banking or credit card information for future payments. Payment Schedule - In addition to seeing how you pay your premium in the My Payments portal, you'll be able to view what you've paid in the past, along with what amount you still have left to pay in your policy term by tapping on Payment Schedule. No one wants to file an insurance claim, but sometimes circumstances leave you no choice but to do so. After all, that’s what your insurance is for - to be there for you when you really need it. At CFM, our goal is to make your claims process as stress-free and simplified as possible. So, we’re now offering you the convenience of reporting a claim on your phone through the Policyholder App. We’ve created a streamlined five-step claims process at your fingertips that allows you to upload claims photos, check on status updates, and contact your adjuster easily. 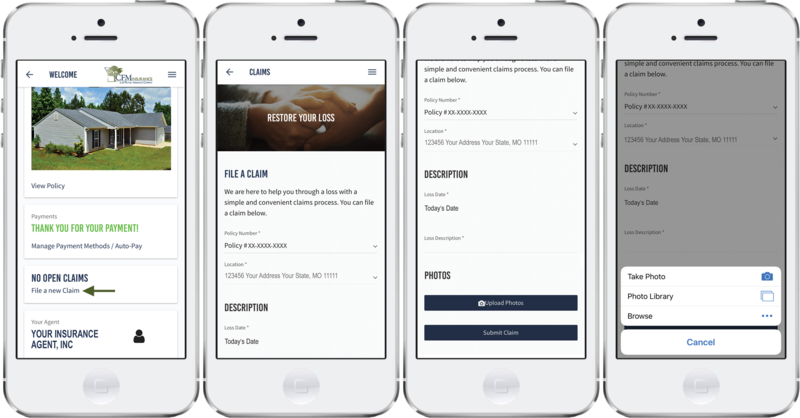 Upload Claim Photos - As soon as you log in to the Policyholder App, you’ll see a File a New Claim button below your payments information. 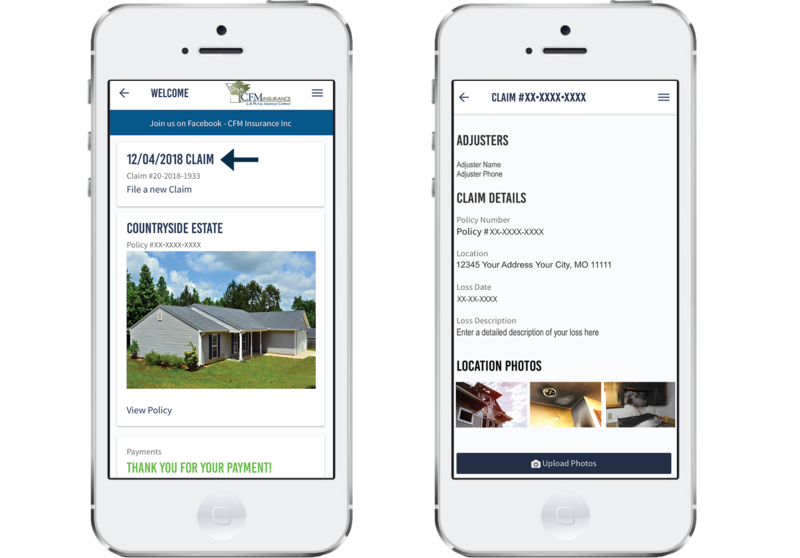 When you tap on it, you’ll be redirected to a claim entry page to fill in important information about your claim such as the date and description of your loss, along with any photos you’d like to share with your adjuster. After tapping on Upload Photos and uploading images of your loss, submit your claim to CFM and you’ll be contacted by your assigned adjuster soon after. 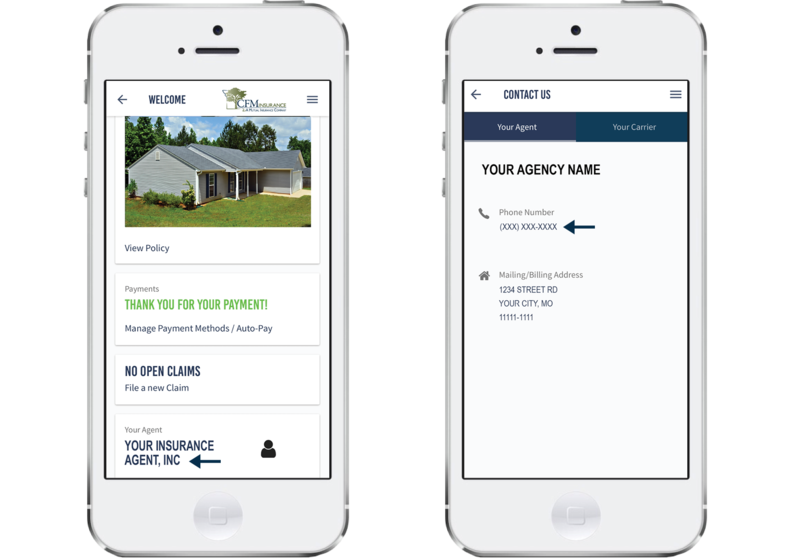 Adjuster Contact Info - We understand that it’s important for you to be able to call your claim adjuster when you have questions, so we provide their contact information in the claims portal of the Policyholder App, making them easily accessible. Sometimes, you just need your agent. Maybe you need to update some important information about your property on your policy. Or perhaps you believe you now qualify for one of CFM‘s many discounts you hadn’t been eligible for in the past. Get answers to those questions and stay connected with your agent easily through the Policyholder App. At the bottom of the home page, tap on Contact Agent. From here you will be able to call your agent directly from the app by tapping the phone number. Your agent's information is also conveniently listed on your policy declaration page. 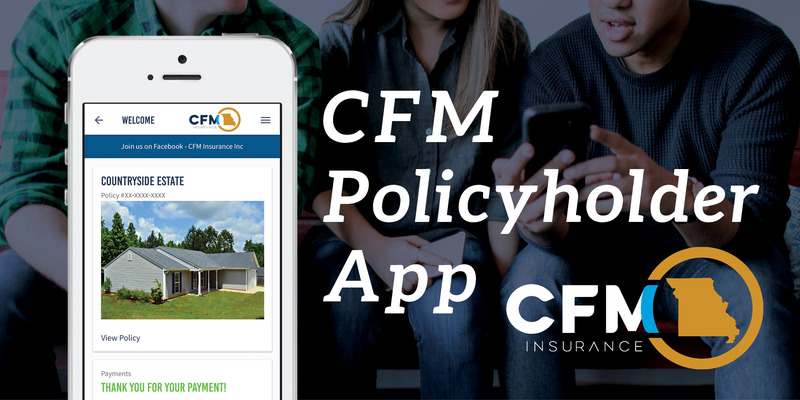 Ready to make a permanent home for the CFM Policyholder App on your phone? It’s as easy as 1, 2, 3! Policy Lookup Feature - After you download the app, look to the bottom of the screen and tap on Don’t have an Account? Sign up. You’ll be redirected to an easy-to-use policy lookup page where you can track down your policy by entering your policy number OR your name and date of birth. After identifying yourself, simply confirm your identity in the Policyholder App by either entering the last four digits of your social security number or using a security code sent to your mobile phone. You’ll then be able to set up your permanent login information for future use. If you prefer to use a desktop computer as opposed to your smartphone to access policy information, just use the CFM Policyholder Web Portal, which shares the same functions as the mobile app. You can access the CFM Policyholder Web Portal through the CFM Insurance website. Click on the Insured Login link located at the top of the page and create an account. Should you experience any issues downloading or using the Policyholder App, your agent and support team here at CFM will gladly help.